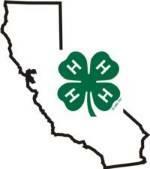 The Placer County 4-H Scholarship and Hulbert Scholarship applications are now available. To apply, please print either, or both scholarship applications. Be sure to complete all steps as outlined on the cover sheet as applications cannot be accepted without all parts. Interviews will be held on Saturday, May 11, 2019. Interviews are in-person only. You may apply for both scholarships in the same year, however, you may not apply for a scholarship you have been awarded in the past.